Since the band’s spring release of their fourth studio effort simply titled “IV,” The Aggrolites have been the ambassadors of their brand of dirty reggae. A potent mix of sweaty soul, base driven funk, and reggae reminiscent of the Kingston legacy of the 1960s. The Slidebar in Fullerton was at capacity with a line out the door to watch the Aggrolites own the stage. With an opening set from Warped tour cohorts LONGWAY, the healthy mix of rude boys, punk rocks, and party people equated to a few circles, followed by an hour of dancing. Aggrolites capped the night with their sing-along rendition of The Beatles “Don’t Let Me Down” that echoed through the building. Drawing members of Reel Big Fish, Chase Long Beach, The Street Dogs, and Civet all out to support, Old Shoe Records turned a free show into an epic party. 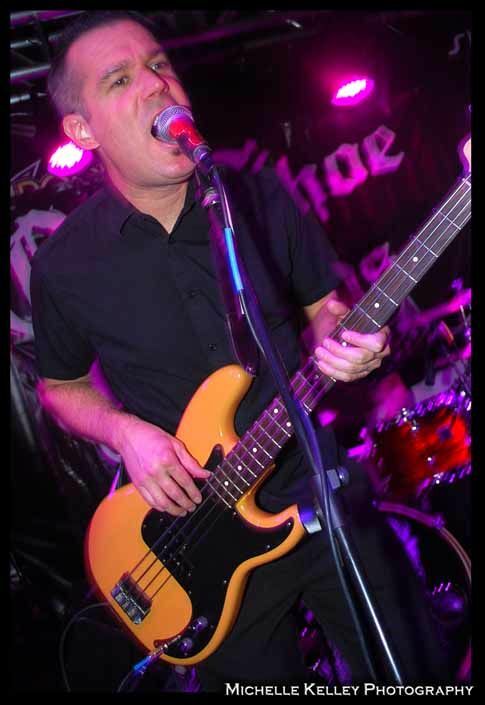 This entry was posted in Live Concerts, Photo Galleries and tagged Aggrolites, Aggrolites photo gallery, Aggrolites photos, Aggrolites pics, Aggrolites The Slidebar, Beatles cover, beatles covers, Chase Long Beach, Civet, concert review, Fullerton, Live Concerts, LONGWAY, Old Shoe Records, photo gallleries, photos, pics, Reel Big Fish, The Slidebar, The Street Dogs on December 1, 2009 by Sandra Burciaga Olinger.